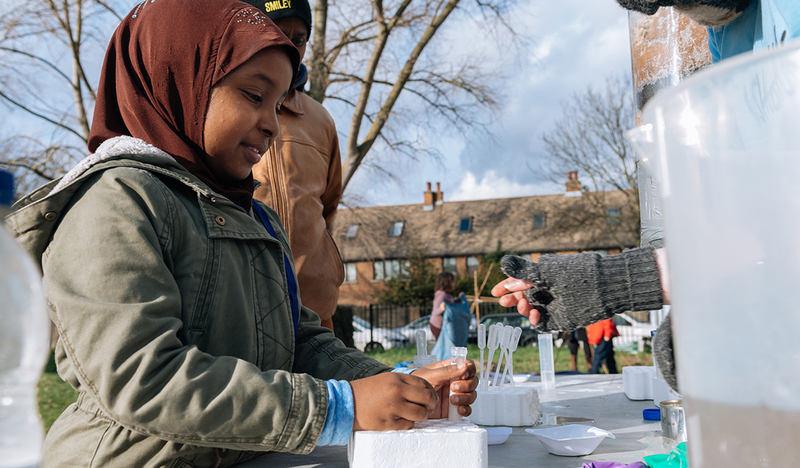 Middlesex University students and staff will bring science and engineering to life at SMASHfestUK’s award-winning family festival in Colindale, North London on Saturday 13 May. Run by Middlesex University in partnership with The Refinery and the University of Greenwich, SMASHfestUK aims to widen participation in science, technology, engineering and maths (STEM) through art and design. Each year, the festival focuses on a different natural disaster, exploring how to survive and rebuild society after the events. This year’s theme is ‘Supervolcano’, featuring art installations, performances, experiments and a ‘survival village’. “The Royal Academy of Engineering survival village will use science and engineering to investigate what happens if we are struck by disaster, the things that we take for granted every day and how to rebuild,” says Wyn Griffiths, Course Leader for BA/BSc Product Design at Middlesex University and Co-Founder/Director of SMASHfestUK. SMASHfestUK aims to introduce young people aged seven to 17 to STEM subjects in engaging, meaningful and creative ways that appeal to their imaginations and connect with their everyday lives. The festival strategically targets those who are under-represented in STEM, such as economically disadvantaged young people, women and girls and BAME communities. “The SMASHfestUK tour will help to widen the fight against inequality and lack of diversity in STEM education and careers, raise aspirations and create more opportunities for young people,” says Wyn. “We are aiming for the stars, in every way!" Middlesex University staff and students from product design, design engineering, maths, computer science and illustration courses will be working on activities, with Royal Academy of Engineering engineers, SMASHfestUK regulars, and new partners from the local community. So far the programme has reached around 30,000 school children and families from two London Boroughs and there are plans to expand it UK-wide. New university, museum and community group partnerships are being developed, with a UK 'Earth and Sky' Tour being funded for late 2017 by the UK Space Agency and the Royal Academy of Engineering.